On Saturday, at some ungodly hour, my dear friend Caryn and I set out for a day trip. Destination? 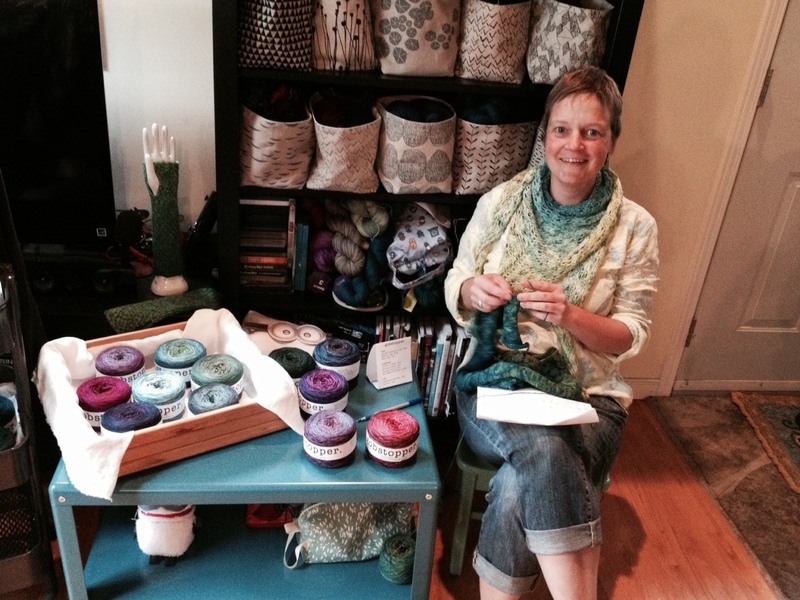 The wilds of Haliburton and the home/studio of indigodragonfly yarns, for their 5th Annual Highland Fibre Fling. Kim and Ron open up their home on the third Saturday in August each year for friends and strangers alike to drop by and visit. There is food, and drink…and this year, in celebration of their 5th Anniversary, there was even cake! But, of course…it’s really all about friends…and the yarn. Oh the gorgeous colours! So many to choose from! 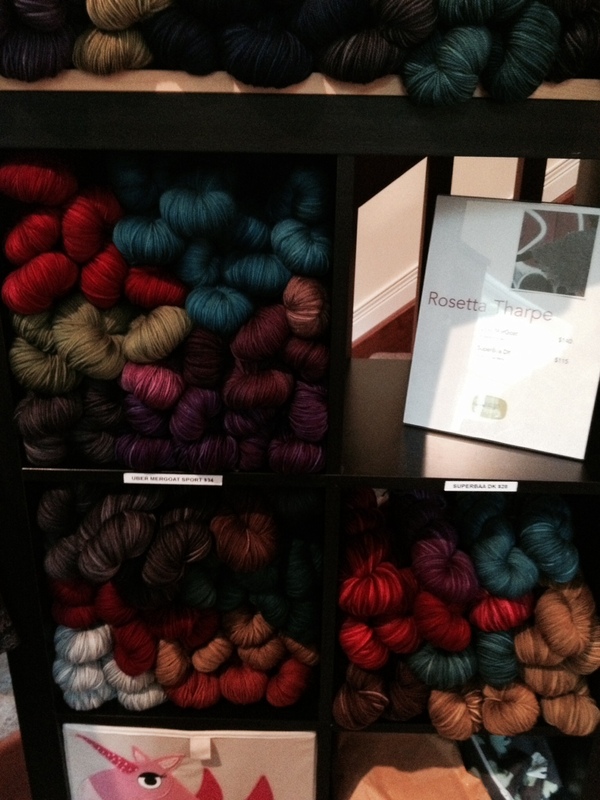 Marit, the creative mind behind Gobstopper, was in attendance, with a selection of her “cake-dyed”, gradient yarns. Such lovely colours! And of course, no Fling is complete without the requisite piñatas! 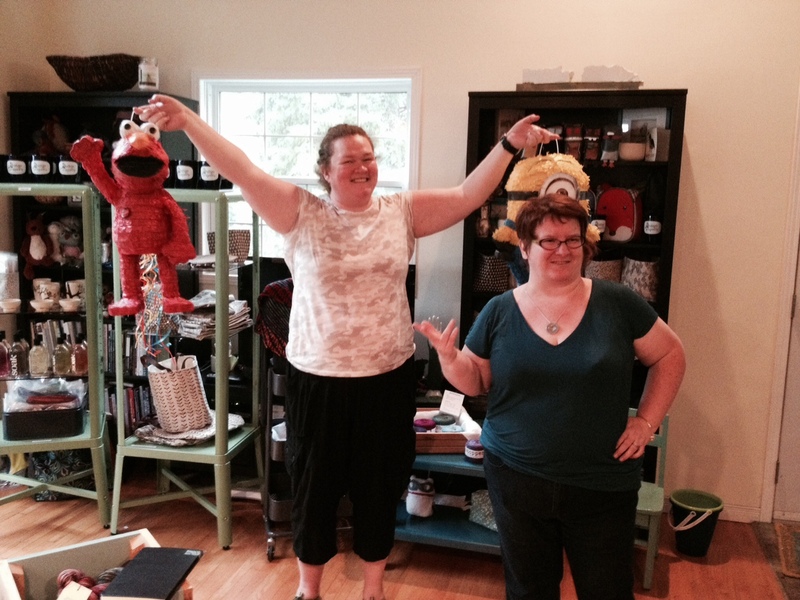 Jenn (with Kim, right) holds the Elmo and Minion piñatas, moments before their untimely end! Sadly, this year we didn’t get to take them outside…it was quite the rainy day. But it turns out that modern day piñatas are rigged with handy ribbons and no longer require baseball bats, golf clubs or other bashing implements. So fun was still had by all on the piñata front! 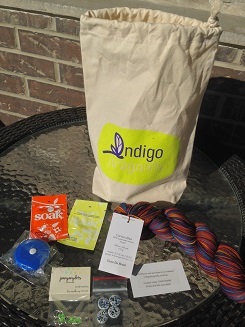 I had to have one of the 5th anniversary goodie bags: a project bag containing a skein of CaribouBaa in a limited edition anniversary colourway called Cinco de Mine!, and some other goodies that included buttons, stitch markers and soak wash packets. Days with my knitting peeps…definitely fewer and farther between that I’d like, and totally worth the hours behind the wheel! 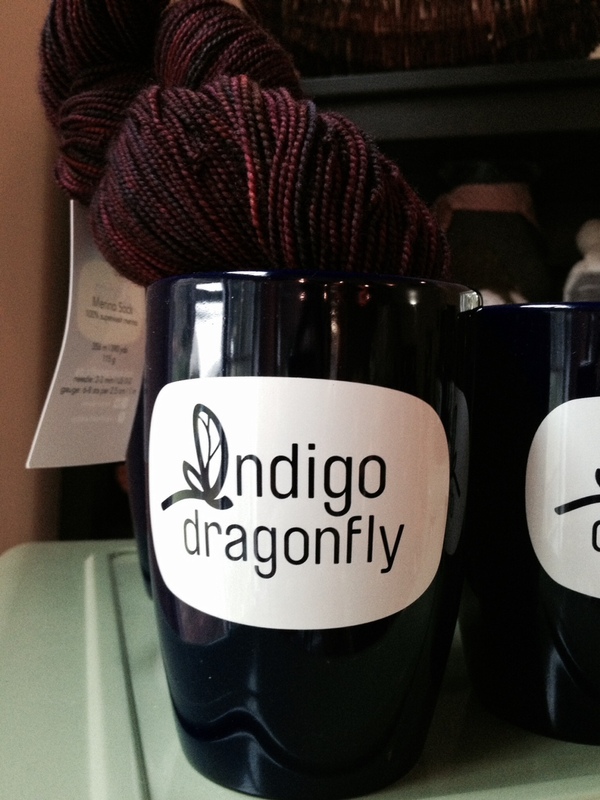 This entry was posted in Uncategorized and tagged indigodragonfly, knit, knitting, yarn by Rayna. Bookmark the permalink.